Savvy Spending: Top Cash Back: 15% cash back at Living Social for new members, plus 20% off coupon code! 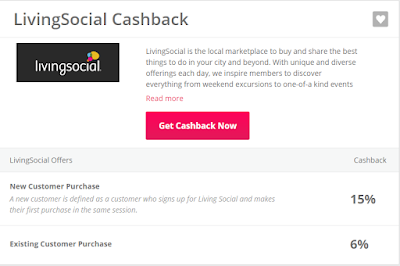 Top Cash Back: 15% cash back at Living Social for new members, plus 20% off coupon code! 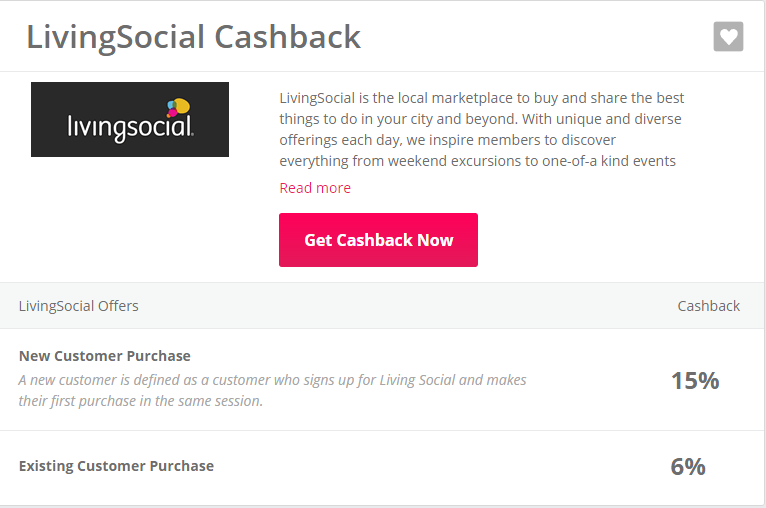 Top Cash Back is currently offering NEW members who join and shop for a Living Social deal in the same session, 15% cash back!! Plus, Living Social has a coupon code for 20% off sitewide! Just use code ENJOY20 at checkout to save 20% off your deal! Combine those two offers and get a fabulous deal on a fun activity, new place to eat, a gift for someone, NFL games, getaways, massages, electronics, and more! Already a member of Living Social? You can still earn 6% cash back through Top Cash Back and use the 20% off coupon code too!